The 2026 World Cup will be heading to North America. 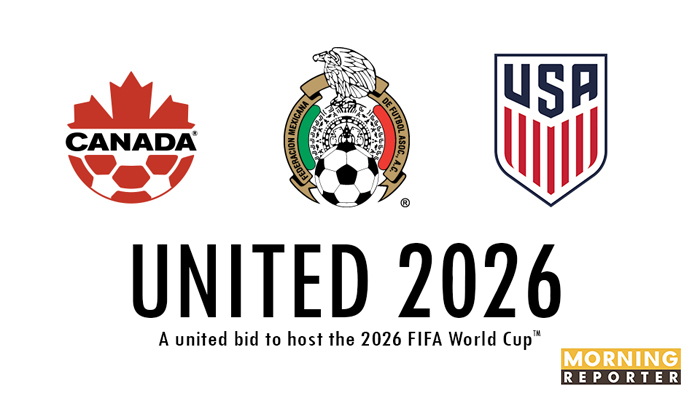 Home/International/FIFA 2026 World Cup will be heading to North America. The World Cup will be heading to North America for the fourth time if the hosting rights to 2026 are, as expected, handed to the joint bid from the United States, Mexico and Canada at Wednesday’s FIFA congress in Moscow. The rival bid from Morocco, for the first 48-team tournament, was hoping for a late surge in support from lobbying efforts in the Russian capital on Tuesday but most observers expect the African bid to fall short. The North American bid began the campaign as strong favourites but Morocco has enjoyed some success over recent months and the result could be closer than anticipated. But while FIFA politics has a habit of throwing up surprises, the promise of a handsome profit from games played at large capacity, already existing stadiums across North America is likely to sway enough voters.